Johnson will speak 6 p.m. Thursday, Jan. 31, in Jean Browne Theatre on the TJC main campus. Admission is free, but tickets are required as seating is limited. To reserve free tickets, go to tjclectureseries.eventbrite.com. 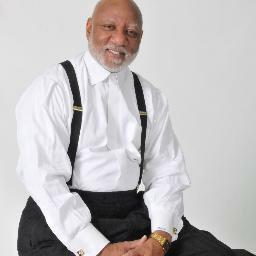 He has served as pastor of Holman Street Baptist Church (HSBC) in Houston for more than 40 years. He joined the church during his college years, and became an active member of the choir, mission and Sunday School. He accepted his calling to preach in 1975 and was later named youth pastor. He became pastor in 1977 and, under his leadership, church outreach has moved this area of inner-city Houston into prominent positions, both politically and economically. A native of Starkville, Mississippi, Johnson holds a Bachelor of Arts in history and government from Texas Southern University, a certified degree in mathematics from Prairie View A&M University, and is currently pursuing a master’s degree from Texas Southern University. In addition to his work as a pastor, Johnson has also served as an educator, having taught and served as head of the mathematics department at Cullen Middle School in Houston Independent School District. Johnson is a member of the Baptist Ministers Association - Houston, Phi Beta Sigma International Inc., and the Harris County Republican Party. He is an active community leader, a founding member and organizer of the 48-member Third Ward Redevelopment Council (TWRC) including civic, banks, churches, and multiple community-based organizations. He currently serves on the Board of South Central YMCA, a major shareholder in Unity National Bank, Life Member of the 100 Club, a Commissioner of the Texas Commission on Volunteerism and Community Service, Member of the American Leadership Forum and a member of Ministers Against Crime-Houston Police Department. He and his wife, Zelda Gray Johnson, have three children, Manson III, Matthew and Michelle.